Why Even Vacuum At All? If you had to rate the cleanliness of your home right now, how clean would it be? Many people feel like their home is a 4 or a 5 out of 5, but most homes are nowhere near this clean. 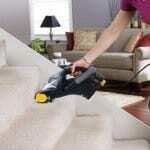 Low suction vacuum cleaners make it so carpets remain dirty even when vacuuming chores have been completed. You could be working hard for absolutely no reason. The Clean Home was designed to help make finding the right vacuum cleaner a simple and easy process. Instead of guessing at which vacuum cleaner will meet your needs, we’ve taken a comprehensive look at the best products that are available on the market today. 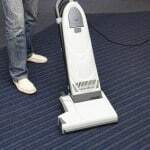 We look at the features, advantages, and usability of each vacuum cleaner so you can choose the right make and model. 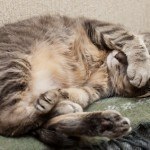 How tired are you of being told which product to purchase? At The Clean Home, that drives us up the wall – literally. It’s impossible for anyone but you to know what the needs of your home happen to be. Trying to dictate which product you should purchase is a ridiculous notion that is only fueled by the desire to make a commission. You are always in control at The Clean Home. If you find a vacuum cleaner that will work to meet your needs, then we’re glad to have been of service. If you don’t find the right vacuum cleaner, then you didn’t waste your money on a worthless product that will only generate long nights of frustration. You’ve worked hard to earn your money. We believe that you deserve only the best so that there isn’t a wasted investment. That’s the foundation of every review, link, and informational article you’ll find here. 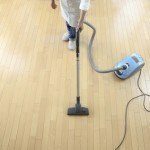 A vacuum cleaner might not be the most popular tool that is used in the home, but it is one of the most essential. Everyone knows what a vacuum cleaner is. Most homes own at least one of them. When one is needed, it can be difficult to know what type of vacuum cleaner is the right one to choose. Our reviews will help to answer those questions. Here’s how. We’ll show you the difference between a stick vac and an upright model. We’ll discuss whether cyclonic technology makes sense for your floors. 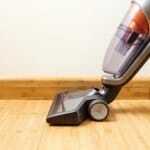 We’ll show you which vacuums work with all floors and which ones are floor specific. Imagine if you spent your money on a vacuum cleaner to clean your carpets and wound up purchasing a model that only worked on bare floors. That won’t happen at The Clean Home. You’ll know what you’re getting before you get it because our first-glimpse reviews will paint a picture of what it is like to own each vacuum. You deserve to live in a clean home. You deserve to have a vacuum cleaner that will actually clean your carpets and floors. You deserve to pay a fair price. It is this authenticity that sets us apart. If you’re ready to really clean your carpets and floors, then use our reviews and information as a guide to select the perfect vacuum today.